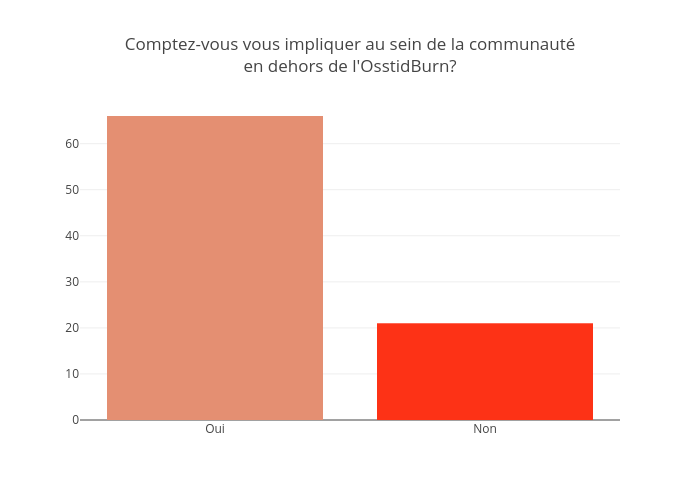 Jodymcintyre's interactive graph and data of "Comptez-vous vous impliquer au sein de la communautéen dehors de l'OsstidBurn?" is a bar chart. The x-axis shows values from -0.5 to 1.5. The y-axis shows values from 0 to 69.47368421052632.